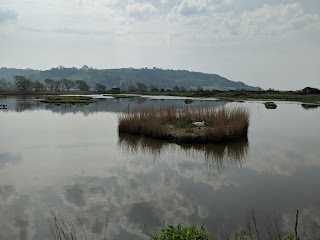 Today was my first visit to Seaton Wetlands, I can't believe in the years I've lived here that I've not been before! My boys have visited before with their school so had lots of things they wanted to show me. 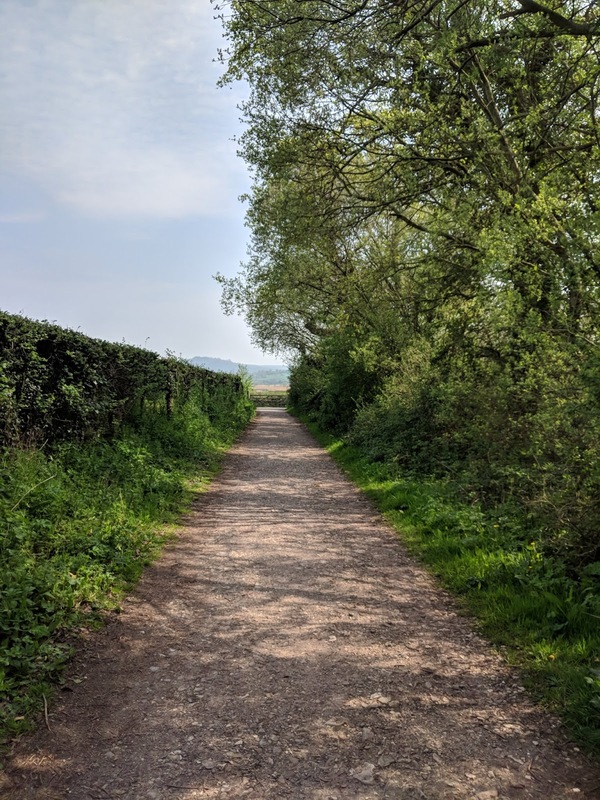 The walk is beautiful, right from the carpark onwards. It has been made very accessible for all; wheelchairs, bikes, prams & scooters. The first area we visited was a lookout where you can sit and look out at the water it was truely beautiful. 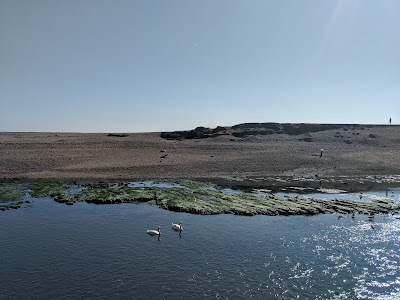 There were lots of people out enjoying the day but not many birds, that didn't bother us though because the views were stunning and there was plenty to see and do. 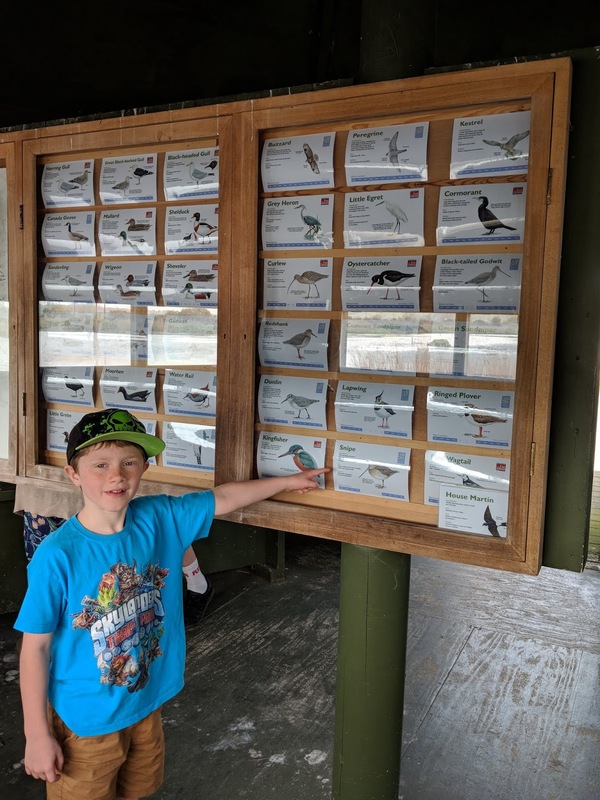 Reu loved reading about the birds on the information stand in the lookout. 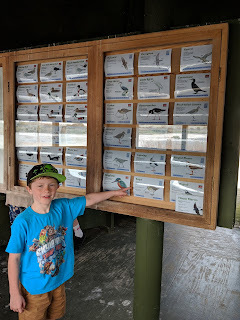 He told me all about some of the ones he had seen before. I was amazed at how much information he already knew that he had taken in from his previous visits with school. We continued on and explored many areas of the wetlands, it was a truely wonderful walk. One thing I wish I had done was prepare a picnic as we could have made a full day of it exploring, instead we made do with just our drinks over the two hours we spent exploring. I loved all the different pathways winding through. Every corner turned offered so much more to see. The ponds were a big hit for the boys who loved looking in to see what they could find. 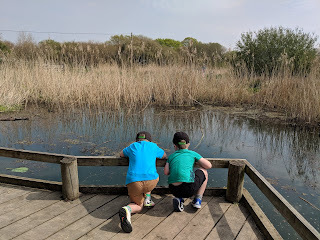 We agreed next time to do the pond dipping (£2 to hire the equipment, I'll make sure I take cash next time) It was great that there were information posters up around to tell us what bugs and beasties were in the water. 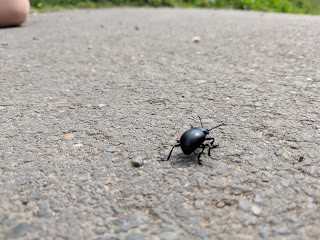 We came across this cool beetle taking a stroll along the path too. Another thing I will do next time is take my camera as the views were so amazing, they couldn't be captured to their full beauty with my phone. Hopefully we will be able to get some good photos of the birds and butterflies next time too! If you haven't visited Seaton Wetlands yet I highly advise it. It is easy to get to, plenty of parking and makes a fantastic day out for all ages. Just remember to take drinks, snacks, some change and a camera! Sometimes I forget how beautiful the town I live in is. How lucky I am to be able to walk out of my door and within minutes be able to see scenes such as these. Today I walked around, not for any particular reason. Just to be. It is such a beautiful day and there is so much to be thankful for. If you can, I highly recommend getting outside and just walking around. There is beauty to be found everywhere. 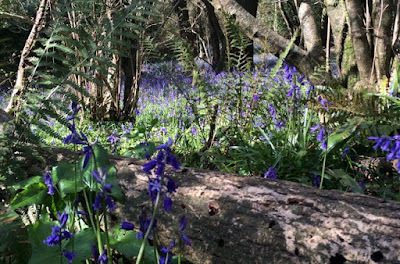 I was asked by the volunteers who take care of Holyford Woods to let you all know of the Bluebell Day happening at Holyford Woods in May. Now i will be honest and say that up until they came in to ask me i had no idea what Holyford Woods was and i've lived here in Seaton for 5 years now! 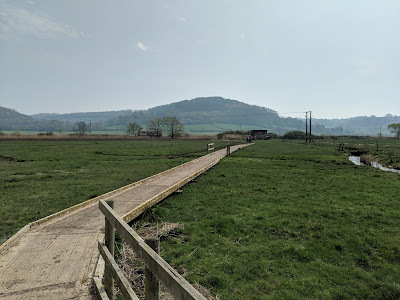 It turns out that as well as the Wetlands we have another fantastic wildlife and walking area on our doorstep! I plan to take my sons to visit it tomorrow (weather depending) so i will let you know how we get on and what it is like. "Holyford Woods is a beautiful, tranquil place nestled in a picturesque valley near Colyford in East Devon. 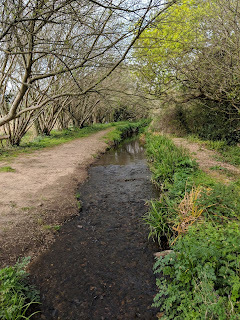 A goyle or sunken stream (Holyford Brook) runs through the heart of the woods, feeding the Stafford Brook which then runs into the Axe Estuary. It is one of the oldest, natural woods in existence in the UK, and is in fact England's 1000th Local Nature Reserve. The woods and the immediate surrounding area have been utilised by people for over a thousand years. 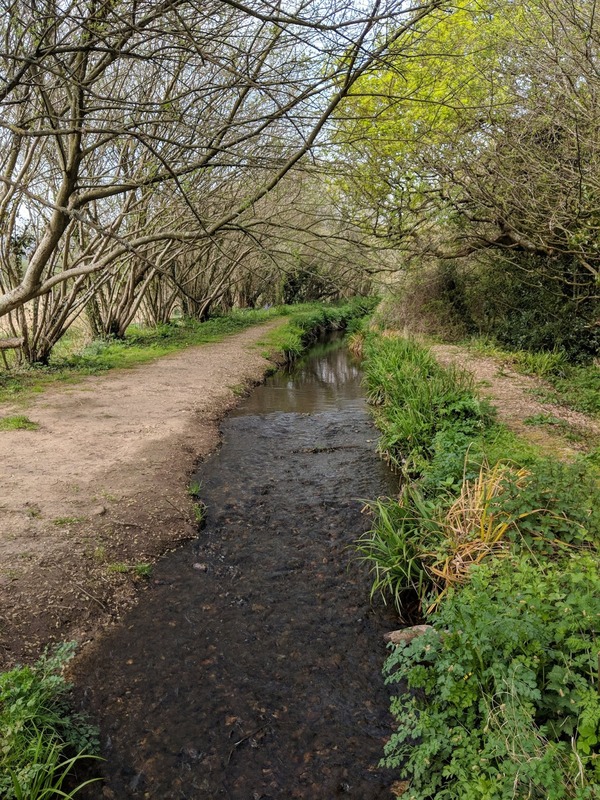 However much of the woods has had minimal human interference in latter centuries, in terms of any felling or planting, so it is the perfect place to study the natural evolution of a woodland space, and associated wildlife benefits." 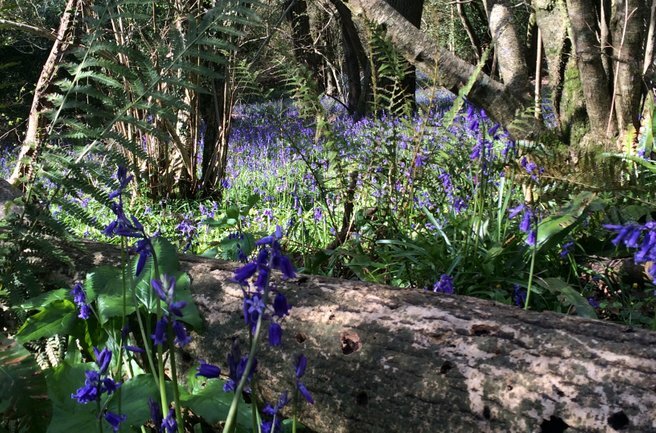 Holyford Woods is open to the public throughout the year and on Monday 6th May they will be celebrating the woods with an open day called Bluebell Day. There will be stalls, refreshments and Axe Vale & District conservation will be there for information too. A free shuttle bus to Holyford is available from Colyford Village hall or parking is free. Find out more here on their website. If you do visit, please let them know that you read about it here and that Kerri-Ann sent you! 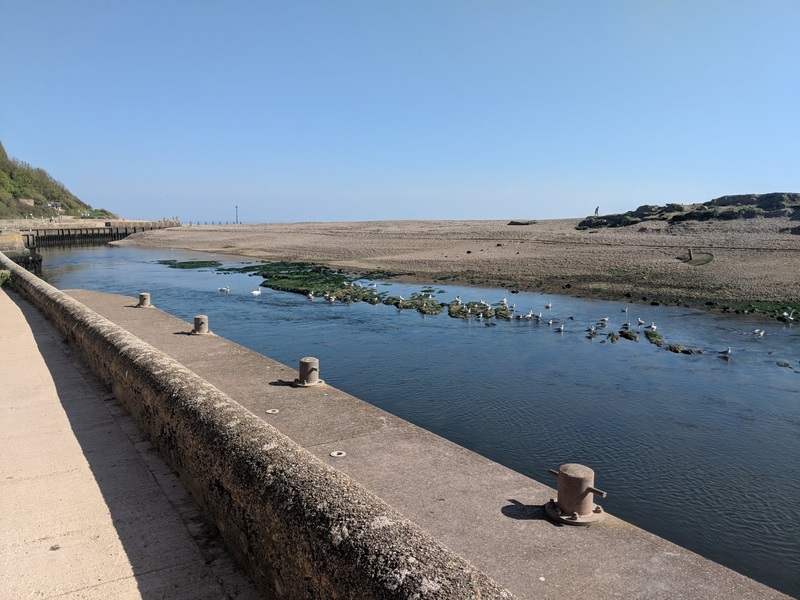 I have been discussing with a local group of volunteers who have said they are willing to give up their time to do a walk around Seaton and aid in making improvements to areas in which they will be allowed. Obviously there will be restrictions on private land and private properties but even there we can offer our support and assistance to the owners. 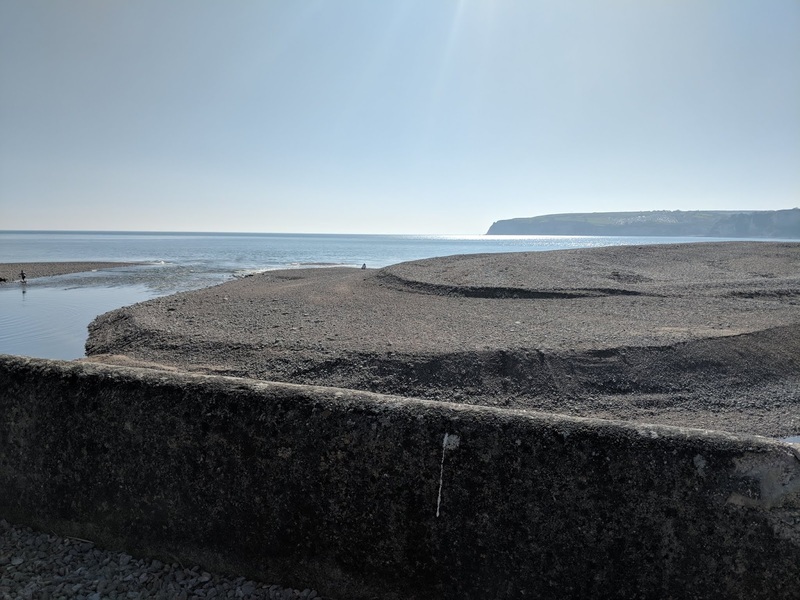 The idea is that if you have a suggestion of something in Seaton that needs a little TLC for example a flower bed that need weeding, an area that needs cleaning or other suggestions then we will do our best to help if we can. 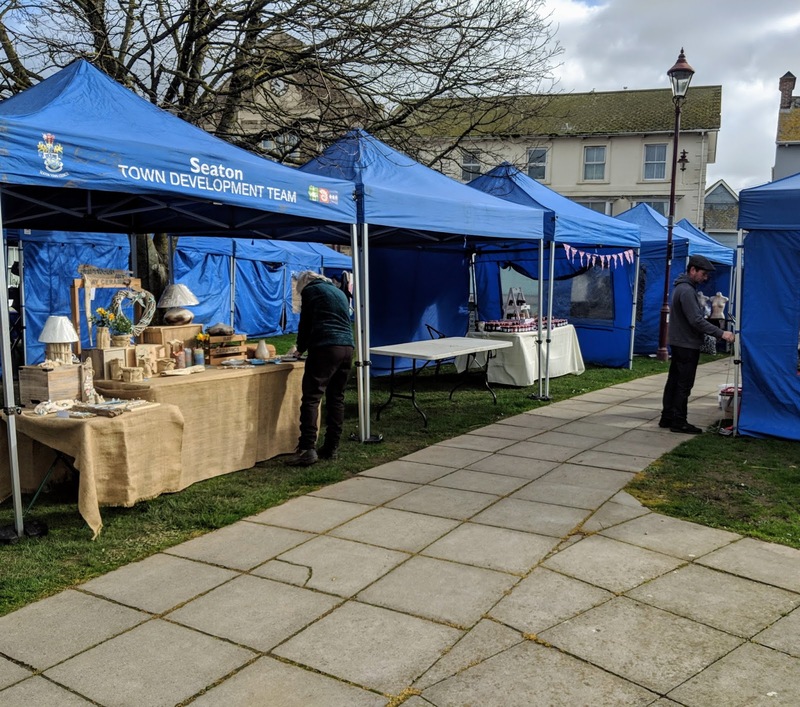 The main focus is on Seaton town center, the area where we hope lots of visitors will be soon flocking to take a look around. 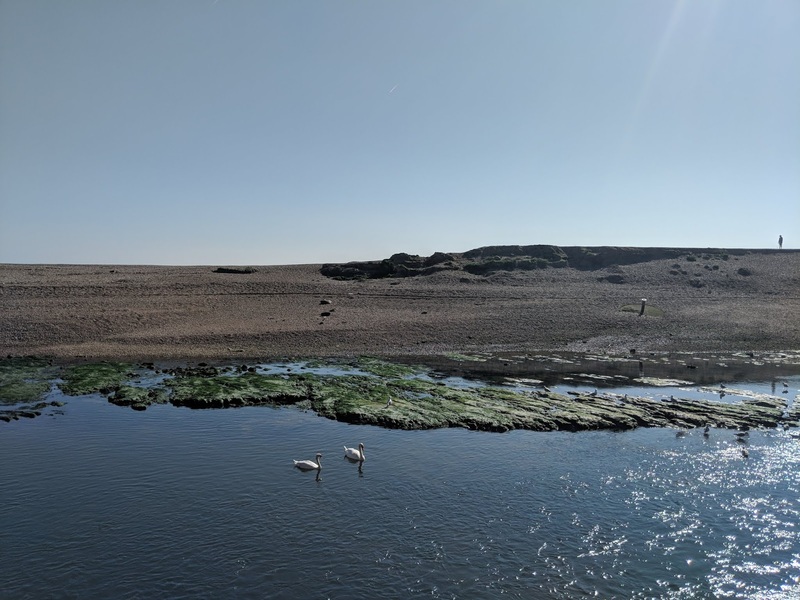 There is already a fantastic group who take care of the beach and run regular beach cleans so we of course will get involved and help them when we can too. If you want to get involved in a beach clean you will often find the sign and picker down by the seafront or you can take a bag along with you and pick up and bits and pieces that shouldn't be there and dispose of them in the bin. 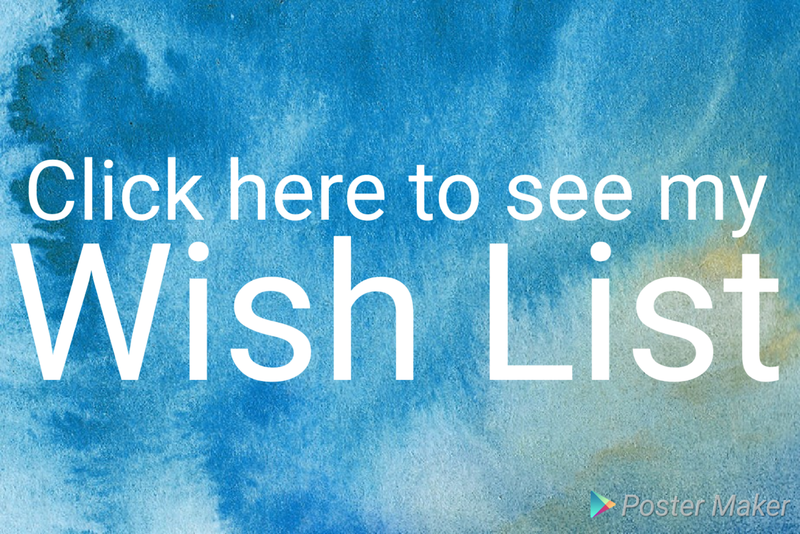 If your suggestion refers to something we cannot immediately help with then we will do our best to get in touch with the relevant body for example the council or a property owner and will see what we can do. So please bookmark this blog post and come back to it to leave a comment (this can be done anonymously if you wish) with any suggestions of where Seaton could do with a little TLC. 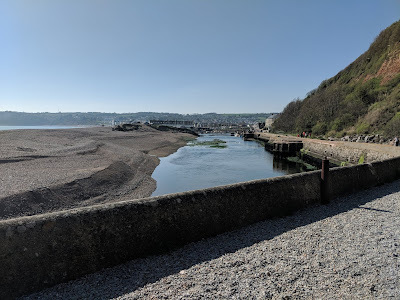 You can also join our Facebook group here where you can load photos of anything in Seaton you feel could do with some TLC. 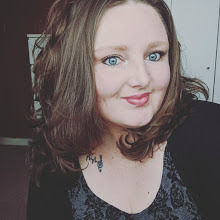 If you would like to join our little volunteer group then pop in and see Kerri-Ann at 30 Queen Street, email her on kabriggs@hotmail.co.uk or join our facebook group here. 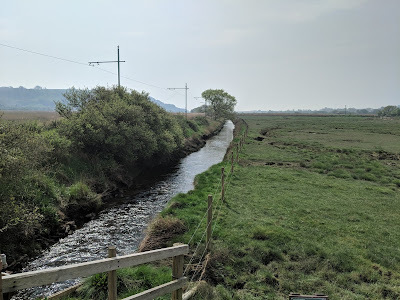 There is a website called 'Keep Britain Tidy' which offers support and advice so we will also look to link with this project and arrange a big Seaton clean! I was recently invited for coffee afterwork on a rare afternoon when I didn't have my son's. We chose to try out Seaton's new cafe Passiflora. It is located on Cross Street in the building where Serendipity Coffee was previously. The updates they have made to the interior styling are very modern and relaxed; on entering you straight away notice how calming the place is. On the day I visited we just stopped for a quick coffee, I had a simple black coffee which was lovely. I noticed on their menu that they offer a selection of hot and cold drinks and some very interesting food options. Speaking with one of the owners it was obvious how passionate they are about their new cafe and i'm really pleased they have decided to invest in Seaton. They are also developing their garden space to create a useful space for holding yoga and other activities. You can find out more about Passiflora here. I'm sure most of you have read the recent news about how the schools in Devon are struggling financially. 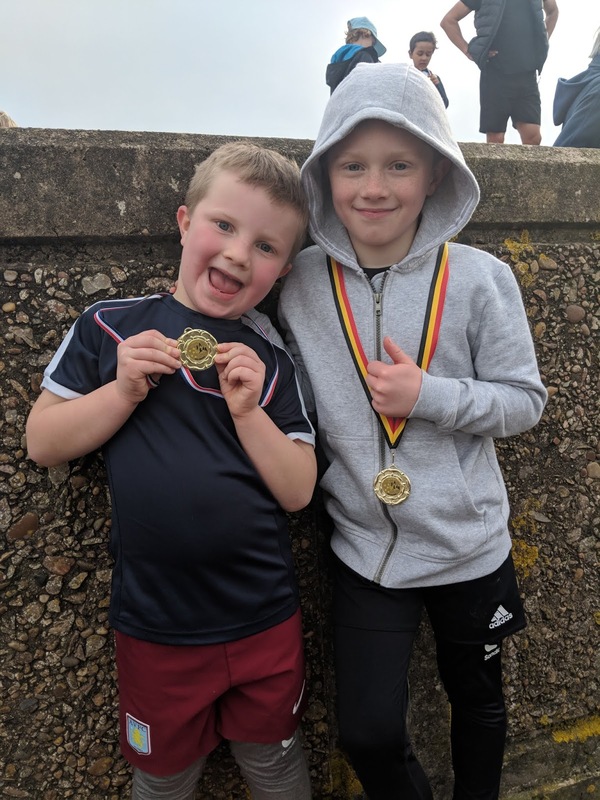 As a mum to two young boys both in a Seaton primary school I have been thinking since I received the letter how I as a business owner could help more (we already regularly donate supplies & freebies for their events) despite us as a business struggling too due to the current economic climate. I realised that what I can do is offer my time my business space. 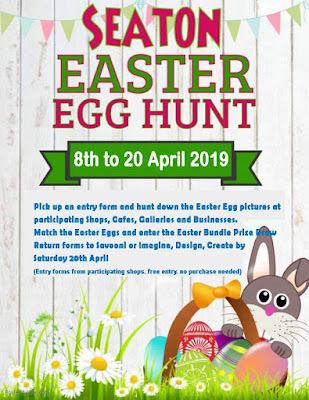 Therefore I want to put out there the opportunity for parents / grandparents with young children (pre-school) to come along and get involved in some basic crafty activities possibly on a weekly basis? I can supply some basic materials, the space and any inspiration wanted in exchange for a small donation that 100% of can go to Seaton Primary school. 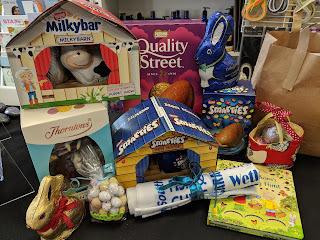 I can also offer the space and basic materials for a once a week after-school club again to be run in the same way with 100% of donations going to Seaton Primary School. In order to make this successful I will need your support. Is it something that you think you'd like to get involved with or know someone who would? Please get in touch with me on 01297 624246 or pop in to 30 Queen Street to have a chat. If enough interest I will look at arranging a date and time. If you know of any local businesses that would be happy to have a Seaton Primary school donations pot on site I can also look to get this arranged too. 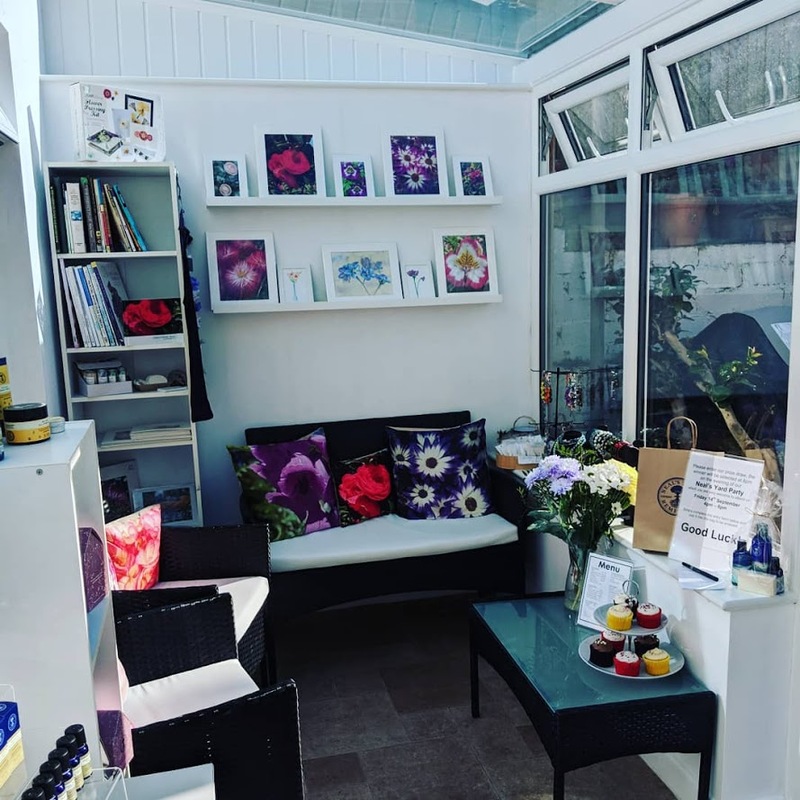 Devon Open Studios 2019 - have you signed up yet? Devon Open Studios is due to happen Saturday 7th to Sunday 22nd September this year. If you are thinking of getting involved you have just a couple more weeks to sign up. Friday 22nd March is the last day to sign up. It would be fantastic to have lots of studios open in Seaton this year, we have a wonderful array of craft shops and art galleries in Seaton now so we are fast becoming well known for being a creative community. Wouldn't it be great if during September for the Devon Open Studios we were the place to visit! If anyone needs help registering please give me a shout and i will do my best to help. Full information can be found on the D A N website here. 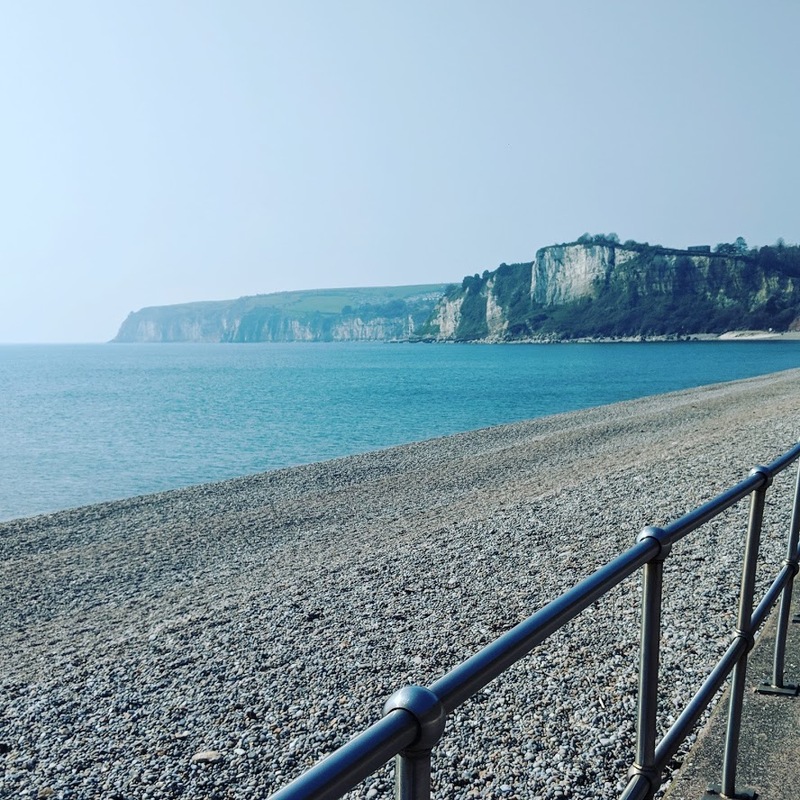 Saturday in Seaton, what was all the fuss about?! I was up bright and early this morning looking forward to the Grizzly Market; I was pleased to see the sun shining. 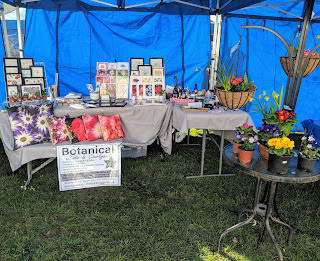 I arrived at Winsor Gardens to find the Gazebos all ready (big thank you to the young lads setting them up) Lots of traders setting up so after I set up my stall I took a quick browse around to get some photos of the set up. 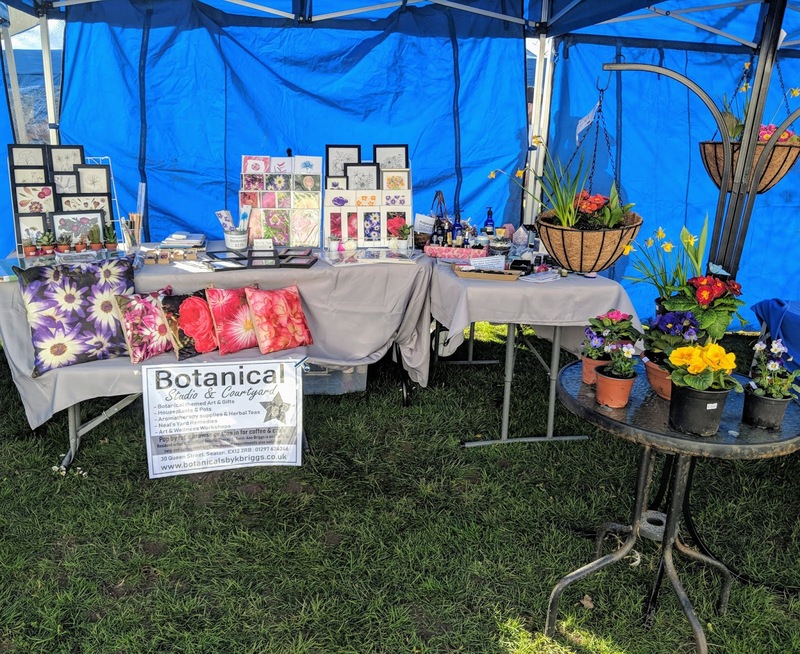 There was a fantastic array of stalls, a real mix which was lovely to see. All were happy and looking forward to the day. It went really well, dispite a few incidents (naughty gale force winds!) and the feedback I was hearing from the community, visitors and customers was fantastic. So many commented on how they were happy to find the market on in the town center and from what I could see lots were shopping with the stalls and browsing the shops (hopefully shopping too!) There was some lovely music on in the first part of the morning too which gave it a really great vibe. 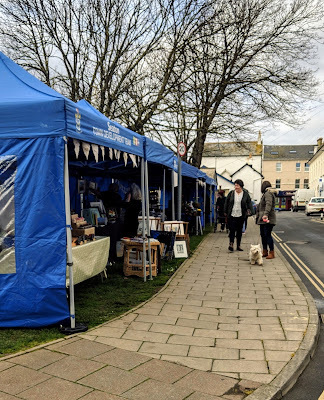 My stall was opposite Gallery Usula so I got to watch the town for the day from an interesting view point i was really pleased to see so many walking all the way around the town including Cross Street and Queen Street. I watched as many went into gallery Usula and the other shops on Cross Street, it was so lovely to see. 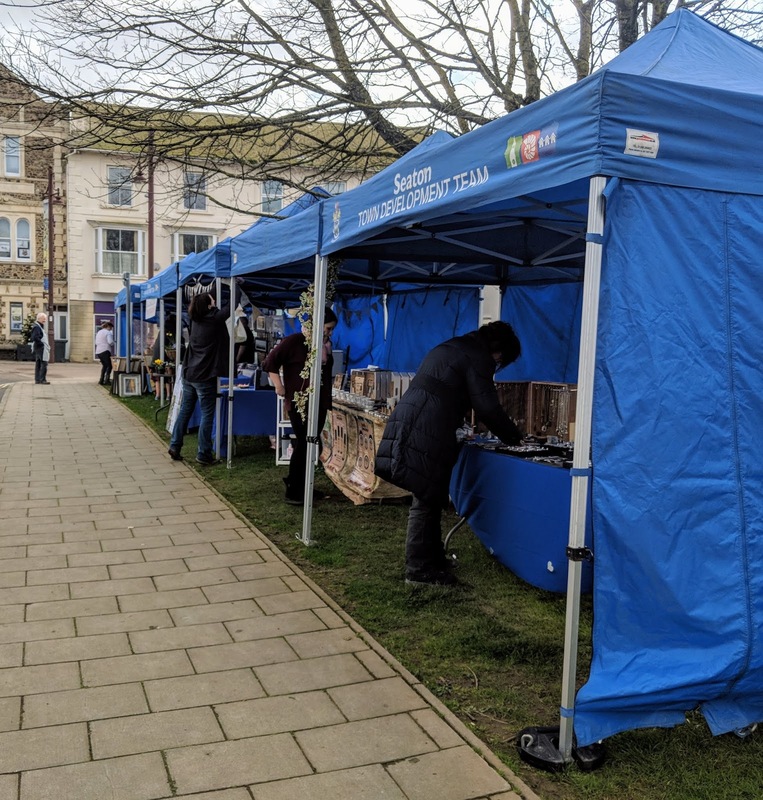 On returning to my shop on Queen Street and speaking with my staff I was told it was a lovely day with much more footfall that an average Saturday so it was a win win for all in my opinion - market traders, shop owners, visitors and the community. I wish I was able to get some better photos of how lovely and busy it was in the morning but I was busy serving customers! I'd love to hear your thoughts on the day. Did you browse the market and shops? What did you think? P.S. I did miss my eldest running his grizzly race but made it down in time to see my youngest run the fun run. They had a fantastic time so thank you to all involved!! I only recently found out that John Buckley is not only a talented artist but also a musician too. 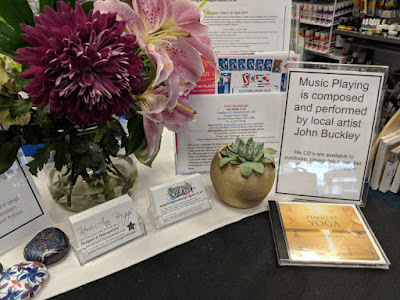 John popped in with one of his CD's for us to listen to and see what we thought and it is exactly the sort of thing we love having on here in the shop and studio. A peaceful relaxing backdrop perfect for when we run workshops. We tested it out during our Botanical Journaling class last Friday and all on the class said how fantastic it was, inspiring some beautiful work. I can therefore highly recommend the Piano et Yoga and look forward to listening to his other work. 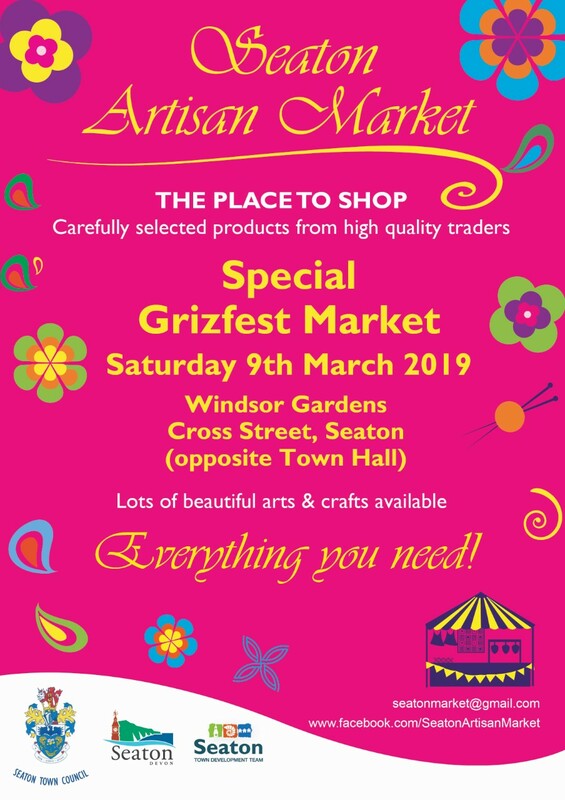 This Saturday there will be a special Grizzly Market happening on Winsor Gardens. It is set to be a fantastic event with many stalls booked in to showcase their goods. The market will be open 10am - 3pm. There will be approximately 20 stalls selling a variety of jewellery, recycled fabric goods, ceramics. 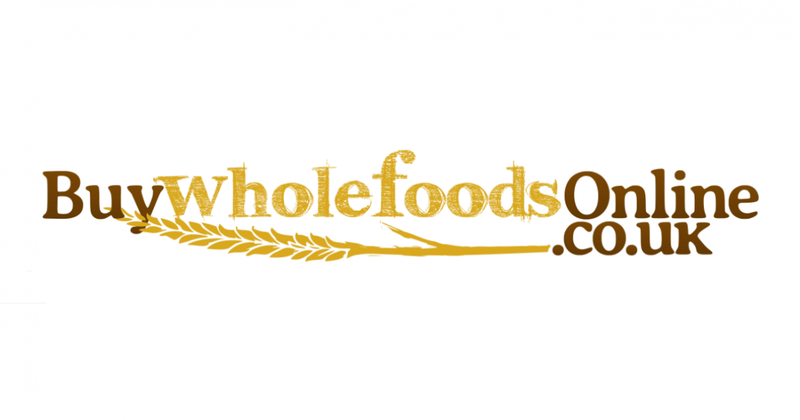 chocolate, cakes & bottled beers, plants, health & beauty products and much more! 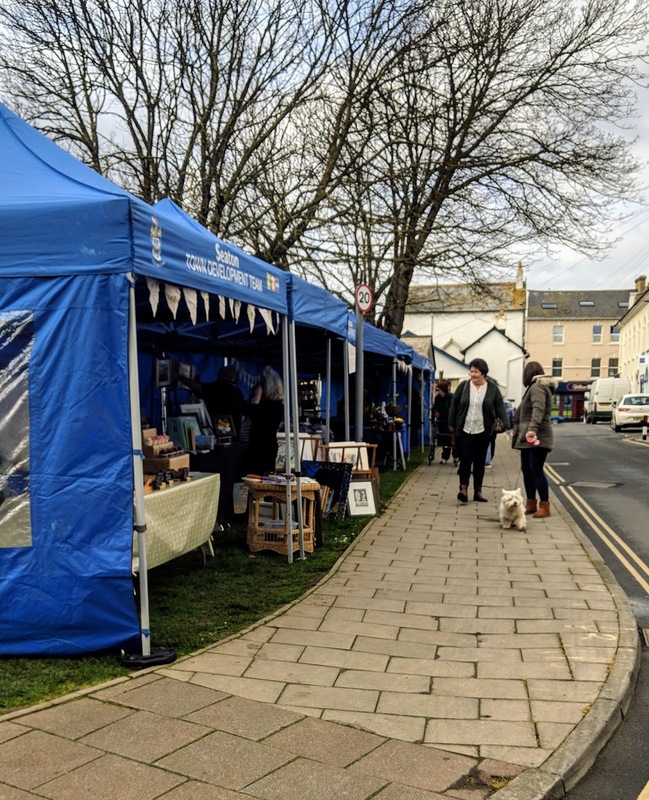 Not only will the market offer a wide range of products but Seaton has a town full of shops, cafes and businesses to browse so be sure to walk around and browse everything on offer. You never know what you'll find. 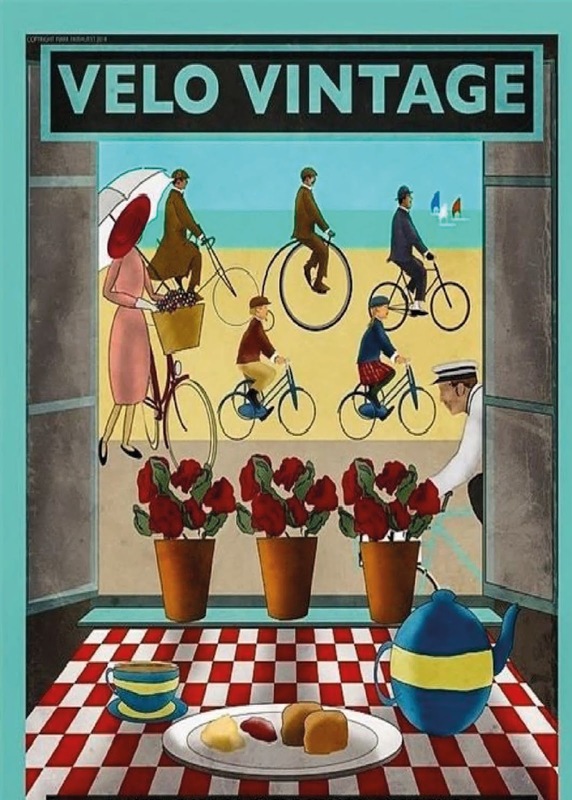 Please don't judge the shops by the windows, often you'll find so much more in store than can be showcased in a window display so it is important to go in and take a good look around. The Seaton Cultural Quarter is fast becoming a wonderful place to visit so be sure to take a good look around, find out more about 'Seaton Cultural Quarter' here. - Imagine Design Create - 10% off when you spend over £10 in store Saturday 9th March! Find out more here. Baby succulents just £2.50 each (normal price £3.50) Available in studio and at the market, Saturday only! - Genisis Vintage (soon to be Brogan Buzec) will have a big last day sale in their current location as they will soon be moving location! Find out more here. 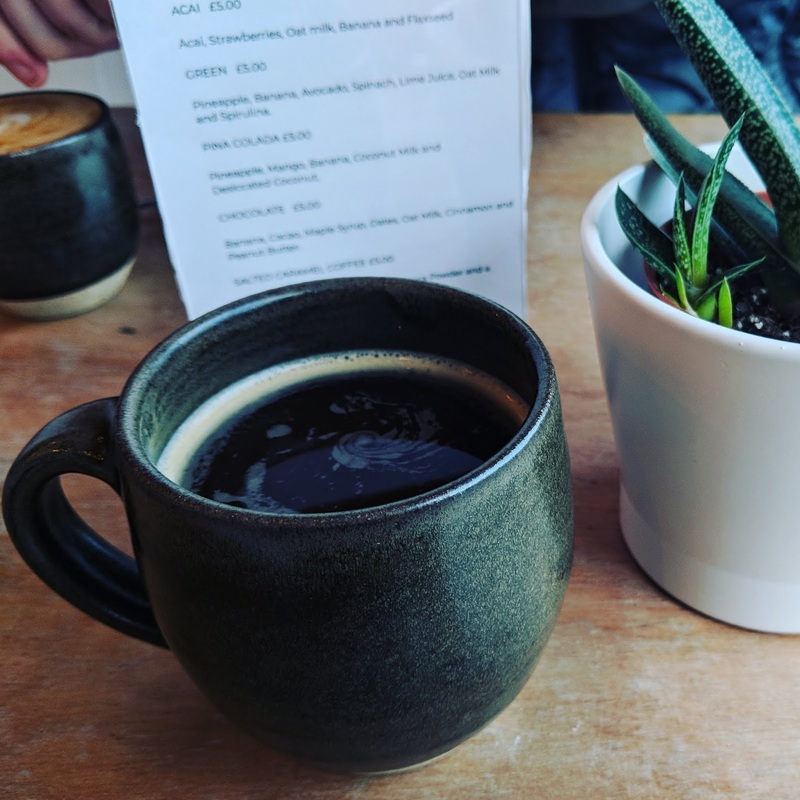 They will be serving their usual coffees and drinks which are available as takeaway, as well as a special "Grizzly Bowl" providing plant based power to both event participants and spectators, find out more here. The Junior Grizzly is happening on Saturday 9th March, to find out more about it see here My little boy Reuben age 8 will be running it, unfortunately i'll be working so i won't get to see him. If you spot him give him a cheer as it is his first ever Grizzly race! To find out more about the Grizzly 2019 event you can read about it here. If you are running the Grizzly this weekend, good luck and have fun! We go to chatting about his plans for the Seaton Velo Vintage event this year and he asked me as a member of the Seaton community what i would like to see happening on the day. 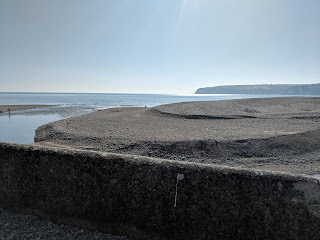 I of course had lots of ideas and suggestions because i love to support anything that happens in Seaton but for me the most important thing is finding out what YOU the community and anyone who plans to visit Seaton on the day would like to see. 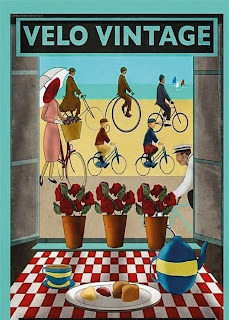 Velo Vintage event is planned for Saturday 22nd June 2019 - It will begin with the velo vintage group setting off at 11am from the Jurassic center, they will take a tour of Seaton and will stop off hopefully in the town centre - Winsor Gardens at around 2pm. If you haven't heard of the event before you can find out more here. 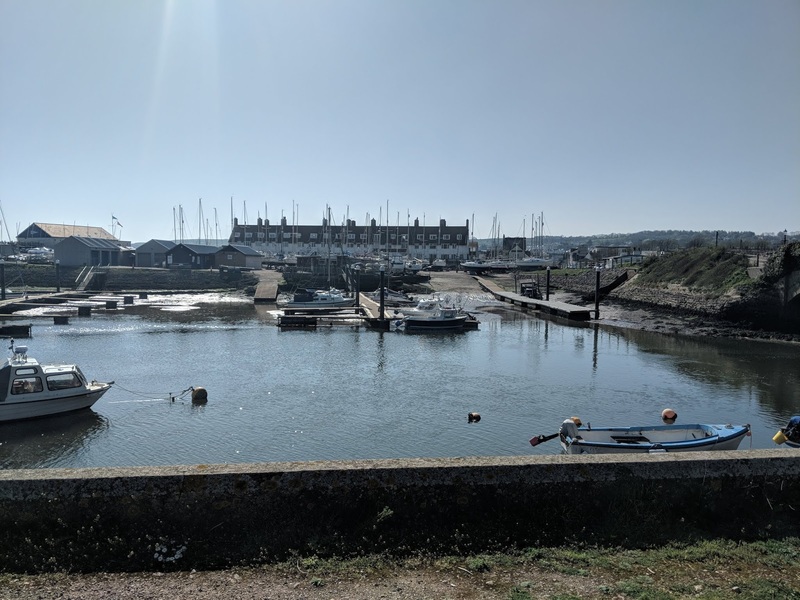 I've created a short survey so if you have 2 minutes to answer the questions it would be a fantastic help to pull together ideas so that i can pass them on to Alastair and the council team who are running the event, that way they have an idea of what you'd like to see happening. Just for fun... How to make a paper cut butterfly dance! This happened totally by accident during a craft space clear up but i thought it was so funny i had to film it!